Inspired Training Center of Denver welcomes you! The Front-range is full of quality training facilities. Boulder/Longmont has a plethora of choices. Our "Southies" are covered as well. But a cycling buddy of mine who lives in downtown Denver recently asked "Where can I go for cycling coaching in the heart of Denver?" First I snorted, because frankly, I don't "train". But I know that most serious athletes DO. And everyone (even me) knows that having a coach and a facility near your home is just plain smart. More accountability,easy access, no excuses. So I told him, "The Inspired Training Center is your answer." Located just south of the heart of Downtown Denver, on 1060 Bannock Street, Inspired Training Center is central for those that live and work in Denver. Additionally, the location has convenient parking and building access. The registration process is available in an online platform which allows clients to browse the schedule and register for classes at their leisure. 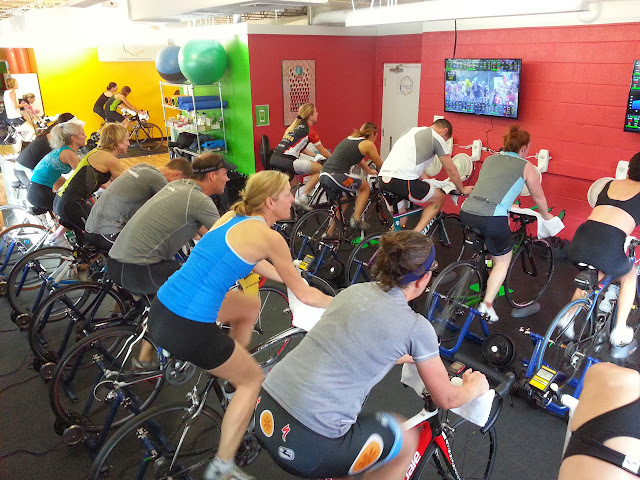 Metro Denver area cyclists and multi-sport athletes are invited to join Inspired Training Center for their indoor cycling enjoyment and training needs. 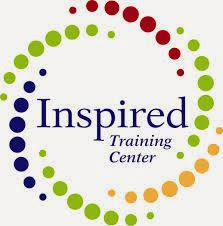 Inspired Training Center is a cycling and functional training studio for people of all levels of interest and ability. Using both traditional Computrainers and newer wireless Kick’rs, the facility uses cutting edge programs in combination with tried and true methods of training to provide an environment that caters to everyone. The facility is equipped to have as many as 18 riders participating at any given time, including the ability to run two different sessions at the same time. The Center is owned by partners Joe Strandell and Sue Lloyd, both of whom have been a part of the cycling community in Colorado for more than 20 years. Sue is a Level 2 USAC certified coach (also coached the BRAC women's Road Camp last Spring) and Joe is a Level 2 USAC coach as well as a certified USAT and USAC Cyclocross coach. The other two coaches leading classes at Inspired Training Center are brothers Drew and Michael Christopher who are both Level 3 certified USAC coaches. Among all of the coaches are numerous State Championships, National Championship podiums, and Elite level racing experiences on the national level. In addition to being active members of the cycling and multi-sport communities, the staff provides a full service and all inclusive atmosphere for riding. All classes are coach led either from the bike or from the floor and the riders are given instruction and coaching throughout the sessions. Classes are offered 7 days per week (no excuses). There are early morning, daytime, and evening class times to fit into any schedule. Some of the classes are geared toward the involvement of certain teams or clubs such as the Rocky Mountain Tri Club or the Naked Women’s Race Team, however any time there is availability, anyone is welcome to join in any class session. 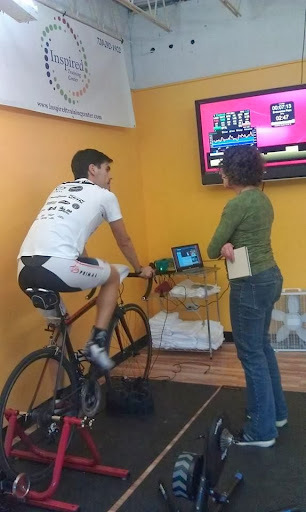 Whether a person is gearing up toward an event ride like The Copper Triangle or The Triple Bypass, looking forward to a tour likeRide the Rockies, or getting ready for race season on the road or triathlon bikes, Inspired Training Center can provide the environment and support to help accomplish your goals. All the information you need is here at the click of a mouse at Inspired Training Center's home page or check them out via Facebook. You can also give them a call at 720-292-1922. The ITC Staff would be happy to chat with you about your needs. *Speaking of Bannock, it might be time to think about that crit. Happy training!